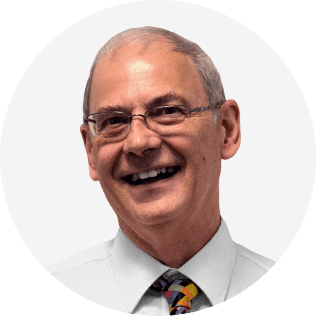 Professor David Clutterbuck is one of Europe’s most prolific and well-known management writers and thinkers. He has written more than 65 books and hundreds of articles on cutting edge management themes. He co-founded the European Mentoring & Coaching Council, the primary professional organisation in the field with Europe, and is now its Special Ambassador, promoting good practice in coaching and mentoring internationally. He founded the International Standards for Mentoring & Coaching Programmes and recently completed a 3 year term as external examiner for Ashridge Coaching MBA. He was voted Coaching at Work magazine’s first Mentor of the Year and is visiting professor at three universities – Sheffield Hallam, Oxford Brookes and York St John. David is a serial entrepreneur, having built and sold two consulting businesses. He now works with an international network of mentor trainers, supporting organisations in developing capability in coaching and mentoring. He maintains a continuous programme of research into mentoring, coaching and leader development. He is an accomplished and controversial public speaker in high demand around the world. He likes to practice what he preaches, setting himself the goal of achieving at least one major learning challenge each year – these range from sky-diving to becoming a stand-up comic! Politics plays a major role in every part of our lives. Although as coaches we like to see ourselves as above the murk of political intrigue, the reality is that we cannot avoid politics (with a small “p”), whether it is in helping our clients navigate through the complexities of organizational loyalties, the rivalries between professional bodies, or how we position our own coaching practice versus those of competitors. If we want to be authentic, we can’t be political. Yet we can’t survive without being politically aware and politically astute. So, what does this mean for us in how we manage ourselves and our client relationships? And in how we help clients remain authentic in sometimes toxic organizational environments? What political dilemmas do coaches commonly encounter and what challenges do these provide for us? In this pre-summit webinar we shall explore all these questions and more. The spectrum from high performing to highly dysfunctional teams is a wide one — and team coaches can be asked to work at any point on it. There are several widely-used models of team coaching, but these tend to start from either a deficit focus (what’s wrong with the team) or from an appreciative enquiry (do more of what you do well). Unfortunately, teams are very complex, dynamic environments and the simple, linear thinking that lies behind many of these models doesn’t reflect that complexity. The interactions within and between these appear to account for the entire kaleidoscope of issues a team needs to address in adapting to constant change in its internal and external environments. In this webinar, I will explore how the PERILL framework evolved and practical ways, in which the team coach can use it both to help the team identify and address the issues it wants and needs to engage with; and to build its capacity to coach itself, when the team coach is no longer there to support it.